Manny Machado is easily one of the biggest free agents during the MLB offseason and people are waiting in anticipation to see which team he is going to take his talents to. Despite his agent calling reports of a seven-year contract offer by the Chicago White Sox to his client “completely wrong,” it does not mean he isn’t thinking about headed to the Midwest. 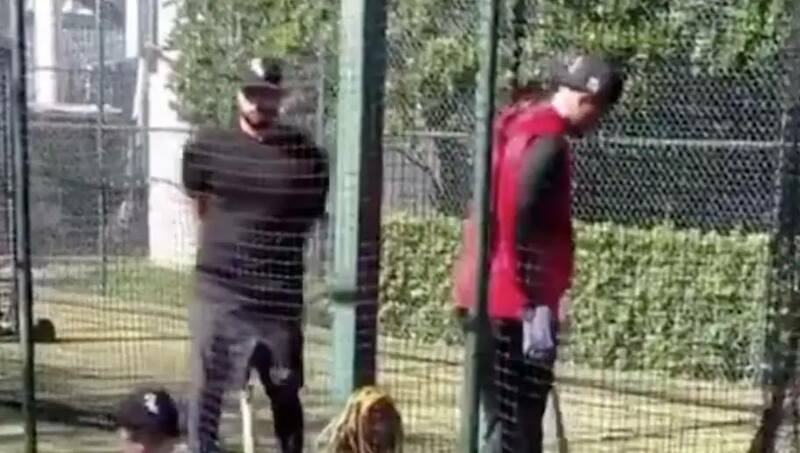 On Thursday night, social media began to buzz after a video surfaced showing Machado working out with good friend Jon Jay and brother-in-law Yonder Alonso and it appeared to show the free agent wearing a White Sox cap on his head. Social media seems to think Machado has made his decision. He’s in the red. Yonder Alonso’s wife posted it on her Instagram story this afternoon. Alonso, Jay, and Machado were all working out together apparently.